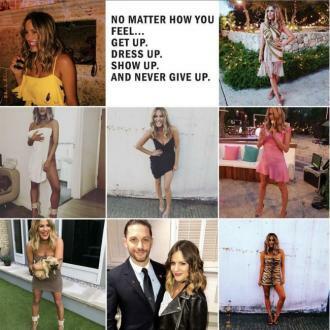 Caroline Flack feels ''more comfortable'' with her body now than she did over 10 years ago and wishes she flaunted her slender frame more often. Caroline Flack feels ''more comfortable'' with her body now than she did over 10 years ago. The 37-year-old television personality feared she had cellulite when she was younger and because she was conscious about her body shape she would always cover up, but the brunette beauty regrets not showing off her physique and will willingly flaunt her slender frame now. Although Caroline has admitted she is happy with her appearance she would love to have ''that body'' back. Caroline has revealed she has a ''better balance'' in her lifestyle, which sees her enjoy nights out with her friends but still undergo gruelling fitness sessions and eat a healthier diet too. She explained: ''These days, I've found a better balance. I like to go out but I also love to go to the gym and eat healthily. The 'Strictly Come Dancing' champion - who won the dance competition in 2014 - has revealed she has a personal trainer who she visits three times per week.